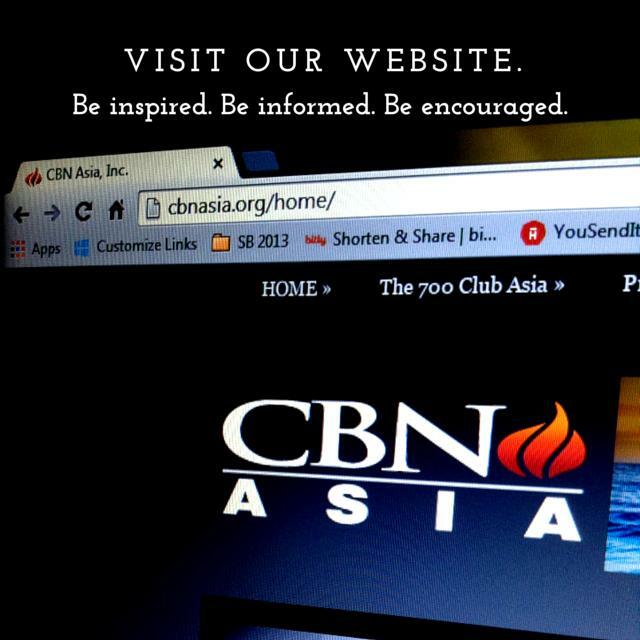 ← CBN Asia Community Partners is now on WordPress! CBN Asia is committed to proclaiming the Good News of Jesus Christ to the Philippines, Asia and the world through our multi – faceted ministries in multimedia, prayer and counseling, humanitarian aid and cross – cultural missions. By 2020, CBN Asia will be the premier Filipino multifaceted media, counseling, humanitarian and missionary training organization that is transforming the Philippines, Asia and the world through the Good News of Jesus Christ. As mandated by God, our mission is to proclaim the Good News of Jesus Christ to the people of the Philippines and the rest of Asia. This entry was posted in CBN Asia Community Partners. Bookmark the permalink.